After 60 years of happy marriage, Maddy Pritchard “crossed the life-line,” to use her husband’s phrase. 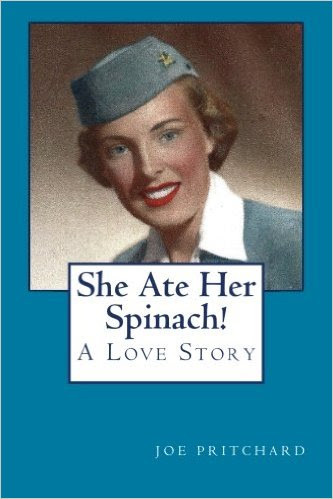 The biography he has penned, She Ate Her Spinach, is a loving tribute not only to Maddy but to the life they created together. Joe Pritchard is his wife’s biggest cheerleader. In addition to telling Maddy’s history, his volume contains her poetry, a children’s story she wrote, clothes she designed, photographs with friends and family, and tributes to scores of people who bejeweled their lives. Each tribute comes with an anecdote… such as Bob Walsh, the pro-life banker, who takes a stab at politics without a snowball’s chance in hell because of his uncompromising position. Walsh and his wife, who have been friends with Joe and Maddy for decades, went on to found PBJ Enterprises, the company publishing Maddy’s biography, and he is the encouragement behind Joe’s efforts. 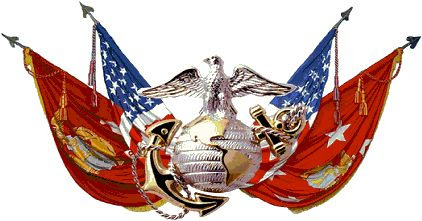 Joe, by the way, is a retired Marine whose email “handle” is Semper Fi. How could it be anything else? At 82, he still hands out “tickets to heaven” – often to perfect strangers – in order to spark a conversation about the spiritual life. For years, he has written thoughtful, inspiring emails to an ever-expanding list of people collected from his reading and work. But Joe’s marriage was the opus magnum of his life, as becomes apparent a few pages into Maddy’s biography. Though Maddy is the heroine – an adventurous young woman who earned her pilot’s license before a driver’s license, was a stewardess with Northeast Airlines, a military secretary and various other secretarial positions, a clerk with the Gulf Oil Company, and who later who raised children and ran her home with grace – it is really the love-at-first-sight story that Joe wants to tell us. …was the start of what was to be a four-year period of pain, confusion … and strong faith. After many hours of pain, she finally got a room. She was bruised and bandaged but totally aware that I was beside her. [here followed a long series of nursing home stays]…Maddy was very alert and always happy to see me come back every day to see her. I was always thrilled to see her and I sang her favorite love songs.. Remember how you loved me. Keep that feeling in your heart. Spero News columnist Stephanie Block edits the New Mexico-based Los Pequeños newspaper and is the author of the four-volume Change Agents: Alinskyian Organizing Among Religious Bodies, which is available at Amazon.